DSO096 has similar structure as DSO062 but its performance has been significantly improved. Comparing to 062 DSO 096 bandwidth is 5 times wider (5M vs 1M) and sensitivity is 10 times higher (10mV vs 0.1V). Particularly, its frequency meter has been greatly enhanced. It can measure frequency higher than 20MHz at sensitivity better than 0.2Vpp (062 can only take 5 - 6 MHz signal and requires TTL level). Another big improvement is that DSO096 is battery-powered. Accepted voltage ranges from 2V to 5V so one regular 3.7V Li-ion or two 1.2V Ni-HM batteries can be used. It also comes with a built-in charger specific for 3.7V li-ion battery. DSO 096 has built-in USB-Uart converter which easy-off firmware upgrade and waveform upload. It can also run on USB power without battery. 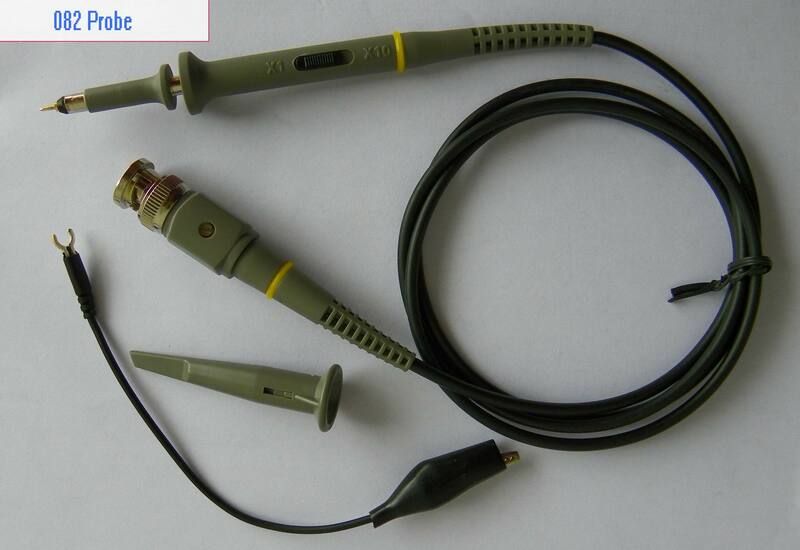 All DSO 096 models include a standard 10X/1X switchable BNC probe. 20MHz frequency meter with better than 0.2Vpp sensitivity @20MHz.